University of British Columbia :: International Portfolio :: PRO IT Service S.R.L. - Choose a professional and accessible service for your online image! 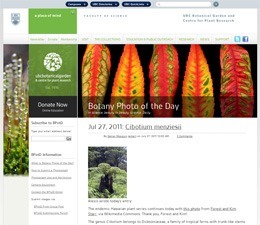 University of British Columbia Botanical Garden and Centre for Plant Research needed help in optimizing its blog publishing time. 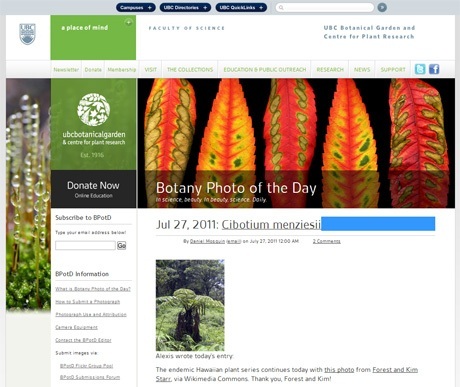 Daniel Mosquin, Education and Technology Manager at UBC Botanical Garden and Centre for Plant Research contacted me regarding optimizing a blog with 1,600 entries and over 14,000 comments. The scope of this project was to reduce the time it takes to post a new entry or to post a new comment. The client managed to reduce the publishing time when posting a comment from about 60 seconds to 29-30 seconds, but wanted to get somebody to optimize it even further. Nevertheless the project was already well optimized, I've accepted this challenge and by combining PHP includes and the PublishingQueue I've been able to reduce the publishing time to almost half, more precisely 17 seconds. In addition I've provided technical advice on how to save even a few more seconds on publishing time. If the project wouldn't have already been optimized by the client, the publishing time could have been reduced at least by 4-5 times. Worth mentioning is that this project runs based on a movable type v5.x installation. I recall that way back in 2007, on a movable type v3.x installation, I've been able to optimize a couple of blogs belonging to the largest network of blogs from the UK at that time with excellent results. For instance, I've optimized the heaviest one to be 80 times faster, and the fastest one to still operate 26 times (if I recall well) faster. While comparing to the results obtained for the UK customer, the one obtained for the University of British Columbia doesn't seem so spectacular, in reality the time it takes now to post an article or a comment is the same on both projects. The difference comes from the fact that the UK customer had tens of thousands of entries and hundreds of thousands of comments and no optimization at all, while the UBC started the job from an already very well optimized project. In conclusion, when you say that you've optimized your project very well, an experienced movable type consultant could optimize it with even further. While you could see the project in action online, I would like to also show you a screenshot right here. Contracting from University of British Columbia Botanical Garden, Vancouver, British Columbia, Canada.